What started as a grassroots campaign last October by five mothers to raise $5,000 to aid Syrian refugees has now raised over $250,000; distributed 3,000 pounds of supplies and over 1,000 backpacks; garnered corporate sponsorships from Patagonia, Nike and Cliff bars; and earned a feature on The Today Show. 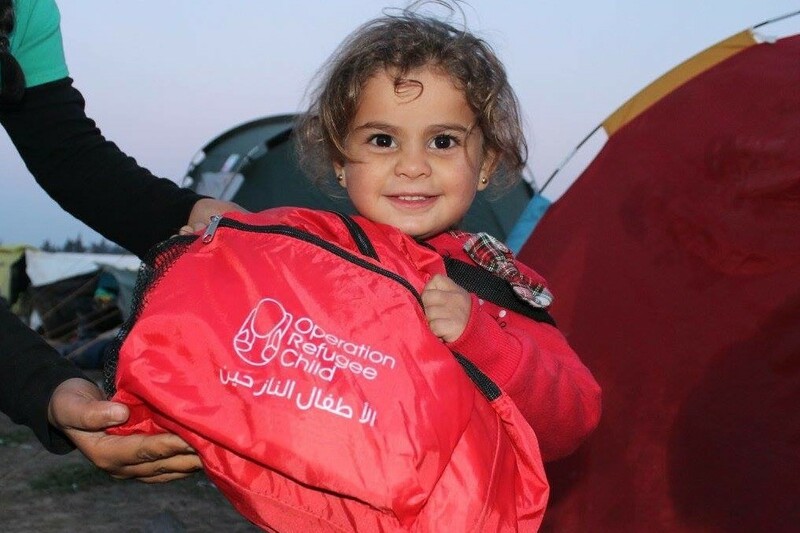 Operation Refugee Child provides backpacks filled with aid and toys to children and their parents currently in Greece. Backpacks come with everyday essentials such as toothbrushes, toothpaste, hand sanitizers, protein bars, toiletries and toys such as coloring books, crayons and plush animals. The gifts entertain the bored children and perhaps provide a small escape from their struggles as civil war survivors. Yorba Linda resident Valentina Caceres, a former Navy sailor and mother to a 16-month-old child, met Operation Refugee Child founder Gader Ibrahim (of Ladera Ranch) on an OC Mommies forum. From there, Caceres met Salma Zawawi of Newport Beach and Somer Sood from Irvine. Their fifth member, Anna Segur, lives in Colorado. Aside from feeling a common empathy for humanity, each mother has their own personal ties to the Syrian war. Ibrahim lived in Jordan for seven years and witnessed the refugee crisis first-hand—Jordan is home to the most refugee camps in the world; Sood is Palestinian and her parents were refugees; and Caceres herself is a refugee from Colombia’s own brutal civil war. Caceres also recalls her Marine husband coming home depressed after getting a debriefing on the Syrian civil war. The moms started an IndieGogo fundraising campaign last October and raised enough money to personally deliver the aid in Greece last November and February; they plan another trip for the end of April. The trips last about 10 days, and the mothers all leave behind their young children in their husbands’ care. Caceres admits the time away from her family is tough, but all the mothers are fortunate enough to have a strong support system at home that allows them to continue doing humanitarian work abroad. 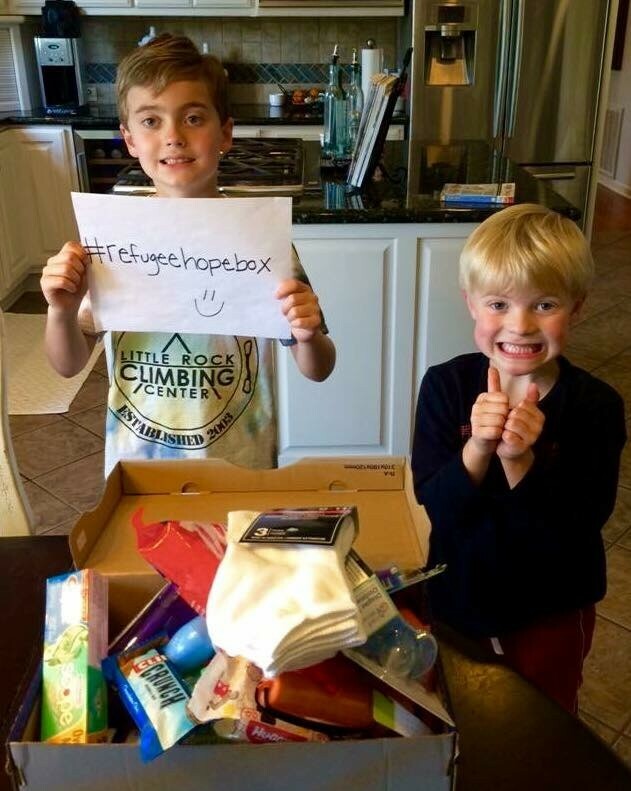 Operation Refugee Child recently launched a campaign called “The Hope Box Initiative,” which encourages children and their families from all over the U.S. to customize their own care packages and ship them to their Santa Ana warehouse (unless you’re in Orange County, in which case the group is glad to do pick ups). 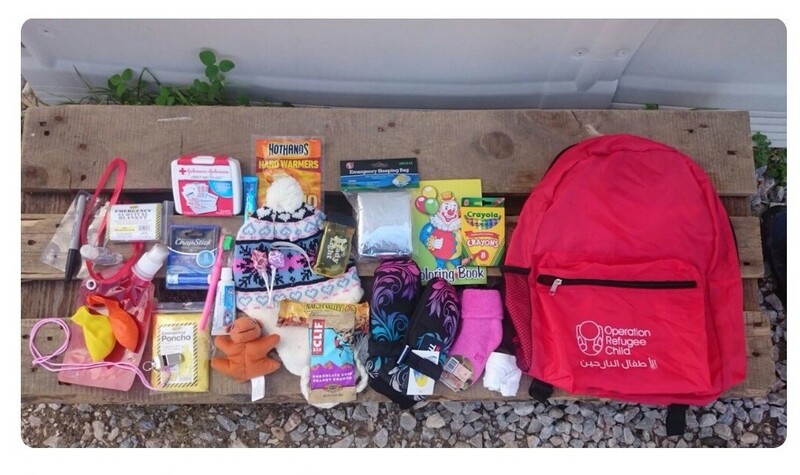 Gifts have ranged from handwritten letters and drawings to extremely worn or revealing clothes, and even a few Bibles—which Operation Refugee Child politely refrains from distributing. After escaping Syria’s violent turmoil, refugees face other issues upon arriving in Europe. Different travel paths split up families, human traffickers kidnap children from camps, and smugglers take advantage of human desperation. “You hear awful stories about refugees being tricked by smugglers for their money and then being left in the middle of nowhere,” Caceres says. She’s heard stories of refugees in Turkey paying over a thousand dollars per person to board what they think is a safe boat meant for 15 people yet arriving to the docks and find them stacked with 60. If the passengers change their minds about boarding the unsafe dinghies, smugglers force them to board at gunpoint. While onboard, adults and children wear fake life vests made out of construction-worker vests with paper stuffed inside them. 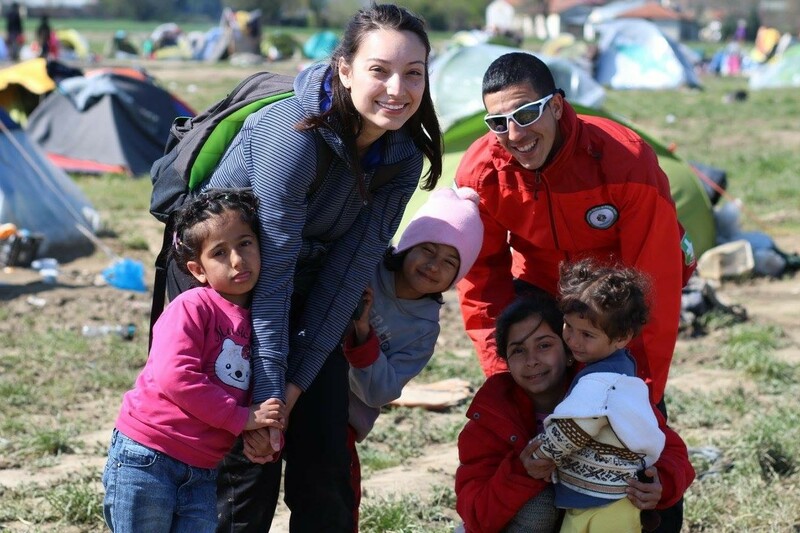 Volunteers are also scarce and in high demand for Operation Refugee Child and other humanitarian organizations currently in Greece. The #RefugeesWelcome Guidebook is a resource for refugees resettling in this country, and a fellow Orange County-based org that Operation Refugee Child hopes to partner with in the near future. Operation Refugee Child is hosting a warehouse volunteer day this Saturday, April 9th. Volunteers will help pack backpacks with donated supplies. Everyone is welcomed. 1104 W. 17th St., Santa Ana, 11 a.m.-2 p.m. For more information, follow Operation Refugee Child on Facebook and on their website.